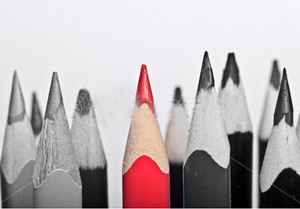 As a Marin copywriter and editor, I provide quality Web copy, marketing collateral, blogging, ghostwriting and more. I’ll help you write it or write it for you—copy that is memorable, effective, powerful and productive—on brand and on time. I love being a co-pilot on your creative journey! As an independent Bay Area book editor/writing coach, I offer book consulting and editing services at all stages: developmental and creative editing, line editing, copy editing and proofreading. I can also assist you with book design and publishing. I will be at your side throughout, offering commentary and suggestions as you need them, not just red ink. Our wealth management firm, Parallel Advisors LLC, hired Jim to streamline and enhance the content on our website and marketing collateral. Jim’s process of getting to know our firm and team was efficient, professional, and effective, allowing him to craft bodies of text that clearly encapsulated what we do as a firm. I would highly recommend Jim and WriteStuff Ink. James has that rare ability to not only be an outstanding writer and editor, but also able to share, teach and inspire others to find their own voice in their writing. His thoughtful, nurturing approach to his students — whether teens or adults — and his rich knowledge of language make him an excellent coach/mentor for anyone who needs guidance and encouragement in his or her writing, whether it’s crafting a college essay or a book manuscript. He’s also a fantastic copy editor. I highly recommend James. Jim is a brilliant writer and editor who connects subject with audience intuitively and compellingly. A great mentor and collaborator, he is a rich literary resource, a wonderfully out of the box thinker and a listener with an ear for the music in words. 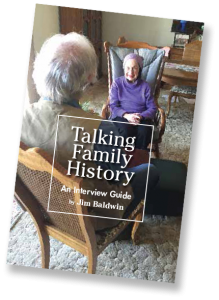 As a first-time author, I know being guided by Jim Baldwin was one of the best decisions I made. He asked great questions to help me clarify my story. He provided positive feedback, encouraging me that my story was meaningful. Without changing any thought, feeling, or intention of mine, he helped me convey my point clearly and with impact. Working with Jim, I learned the impact sentence structure had on content and how fewer words were often more powerful and direct. He was calm, caring, and worked collaboratively with other members of my team. I am eager to work with him on future books. Mine was not an easy book to edit. It's a memoir after all, and I was emotionally invested in the contents of every page. What to leave in, what to leave out, how to structure the material, and how to best aim my natural enthusiasm—an excitement that showed itself in my run-on sentences, were all issues I had to deal with. Jim Baldwin's sharp but gentle eye helped immensely. With great respect for my work, he digested it thoroughly before offering suggestions. Then, with delicate precision, he began pointing things out that helped me better organize the material, and cut away just enough to bring the narrative into focus.